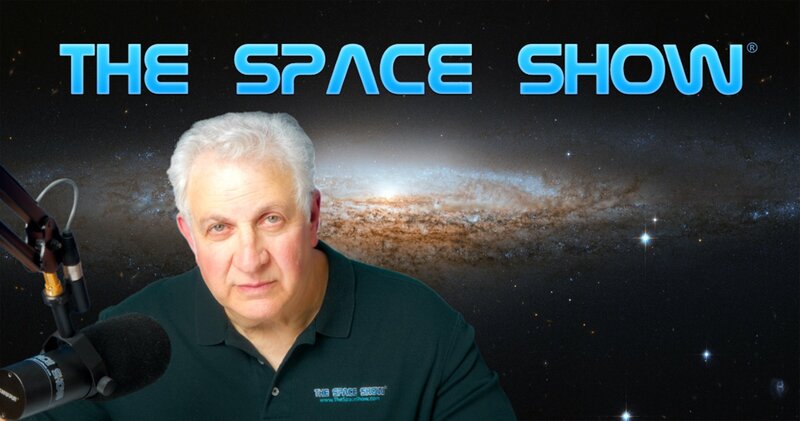 We welcomed Brent Sherwood and Dr. Scott Howe back to the show and Dr. Ted Hall to the program for the first time for this 1 hour 44 minute two segment discussion about their RFI proposal to use the Gateway (LOP-G) as a variable artificial gravity research platform. Please note that later in the show after the call from Dallas, we lost the connection to our guests but I was able to get it back though you will hear the edit bringing our guests back online. I apologize for this error on my part. Brent, our first speaker, explained their RFI suggestion for a variable artificial gravity platform on the Gateway to make sure the Gateway had an important and useful purpose. Most of the first segment was spent with our three guests explaining the need for determining the gravity prescription for human spaceflight BLEO, ethical concerns for going into deep space without this information and the total lack of credible information on this subject today. In addition, all our guests firmly pointed out that while LEO might be a better location for artificial variable gravity research, no such artificial gravity platform research was planned or even close to being planned for LEO. In other words, the only possible to carry out this essential research was on the Gateway which they considered a done deal with NASA though the actual design, purposes and multiple uses for the Gateway were not yet determined. Because of the requirement for a spinning habitat or spacecraft, designing it from the beginning to be rotating was essential. Regardless of the Gateway not being the best location, as was said several times on the show, it is for now the only possible game in town. Be sure to listen carefully to our first segment discussion. While technical at times, it was information and fact packed and very important even if their RFI was not accepted and even if the Gateway ends up having nothing to do with artificial gravity. What our guests spoke about and described would hold true for any rotating hab or variable artificial gravity research platform. During this segment we did take several listener email questions. Our guests responded to them. One for example wanted to know about putting the AG platform on the surface of the Moon. Our guests explained why that was not feasible so don't miss the response. Hint: Lunar gravity would prevent the variable gravity research from happening just as would Earth's gravity but listen for the detailed explanation. Another listener mentioned that nobody had died from microgravity problems, and he exercise routines seemed to keep the astronauts OK on the station, even on the longer mission such as the Twin Study. Make sure you listen to the comprehensive response given by our guests to this question. Let us know what you think by posting on the blog. Note that the response referenced the Twin Study and other issues encountered on the ISS and other platforms regarding microgravity. Before the break, our guests outlined the seven different artificial gravity configurations outlined in their RFI. Several of them were discussed in detail on our show, including the simplest one which was the first configuration mentioned. Our guests had much to say about NASA and researchers possibly avoiding the necessity of doing artificial gravity research due to complexity of it so don't miss this discussion. I asked our guests about the added costs to the Gateway for doing the artificial gravity work plus possible project delays. Don't miss how they responded to this set of questions. Listeners and I asked about comfort and the crew having space sickness so would this require a different type of screening for the crew. Our guests did not think so but they did talk a lot about space adaptation syndrome and crew comfort. Also discussed were proposed spin rates for crew comfort. Once again, a very interesting and important discussion with possibly surprising comments on the need to establish and design for crew comfort and how space adaptation syndrome might be dealt with on the platform. You might be surprised by some of what you hear so don't miss what was said. I bet you even learn from the discussion. I sure did. In the second segment, our guests talked about using animals for the research before humans. While this was also most interesting, it was suggested that it would not happen as animals would require their own protocols, environment, handling, and more which would be a cost driver. Our guests did not think it would be necessary to do this type of research first on animals. Listener Penny asked our guests what the crew would be doing during this study? Also, would the platform constantly be rotating or just part of the time. These and more questions were answered by our guests. That said, another interesting and challenging issue was brought u regarding visiting docking vehicles to the platform. Docking to a rotating platform presents different challenges over and above docking to a non-rotating platform which is what we do now. Make sure you listen to what our guests had to say about this matter. Dallas called to ask questions about Orion and long duration stays since the Orion and SLS launch schedule was much shorter term than what AG research would require on the platform. Once again don't miss what our guests said about Orion and scheduling. It was when Dallas ended his call that I lost our guests but was successful in restoring their connection a few minutes later. After the Dallas call, I asked our guests for the probability of their RFI happening and the Gateway being used for the artificial gravity research platform. Our guests were not optimistic about the chances for selection success but listen carefully to what they had to say when asked this question. I then asked our guests a series of questions about their belief that determining the human gravity prescription for human spaceflight BLEO was essential or not. Our guests thought was as so many others appearing on TSS over the years have said. I then pointed out the obvious disconnect that since this was essential research and no such research was being planned for LEO either by the public or private sectors (as of now), and should they pass on this opportunity for the Gateway, then why would anyone take NASA seriously when they talk about humans going beyond LEO to the surface of the Moon, to Mars, to elsewhere in the solar system? That was a hard one to answer by all of us but do listen to this discussion. We also want to know what you think so post your thinking on this subject on the blog. By the way, listeners and I did ask our guests about just spinning a ship and going to Mars on the assumption any artificial gravity would be better than none or just going as is talked about by many advocates for both Mars and return to the Moon flight and settlement. Our guests did address these ideas and concepts so for sure you will want to hear what they had to say about such practices. Ethical behavior seemed to play a large role in how they viewed the spaceflight without knowing the gravity prescription. Before leaving the topic, I did ask our guests for the actual TRL level today for human spaceflight BLEO. I believe you will find what they had to say regarding our human spaceflight TRL for BLEO to be both interesting and important. Another topic that was brought up before the program ended focused on cislunar flight. Since human spaceflight BLEO was brought up several times during the program, our guests pointed out that one did not have to go deep space to learn about artificial gravity. Our guests pointed out the advantages of sticking to cislunar space at this time to learn about artificial gravity, the gravity prescription for humans and more. This discussion was near the end of the show up to and including closing comments. Please post your comments/questions on blog for this show. You can reach the guests through their NASA pages or me.